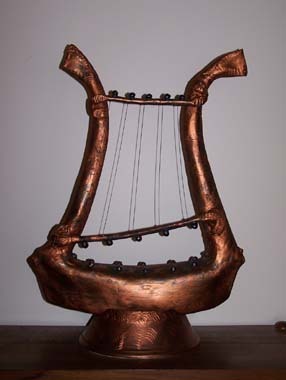 I established my studio and workshop at Helensvale, Gold Coast, in 1990. 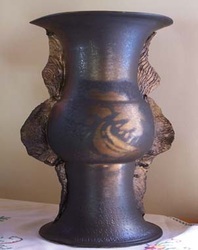 My work then consisted of high-fired domestic ware until, after a pit-firing workshop conducted by Ngaio Wharekura, I concentrated on platters, vases and vessels with incised decoration enhanced by terra sigilata which were then bon-fired. 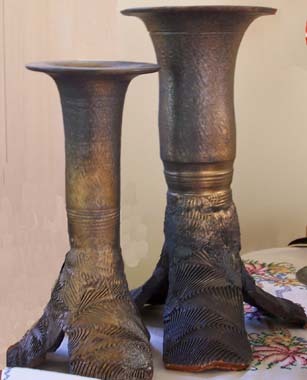 These were very well received at the 1993 Gold Coast Potters' Association Members' Exhibition when seven out of the eight pieces were sold. 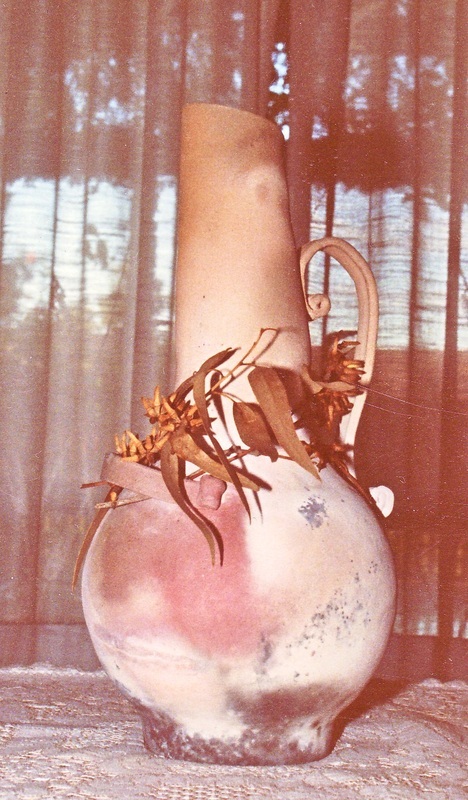 During 1994-5 at the Gateway TAFE Studio Ceramics Course, under David Oswald’s guidance I extended my wheel-throwing skills and understanding of glaze development. 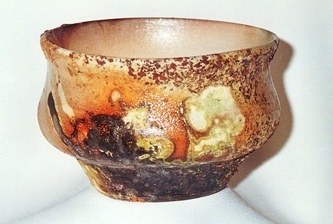 In 1996 this culminated in my receiving a highly commended award from the judge, Loraine Pilgrim, for my copper red, footed bowl at the Gold Coast Potters Members’ Exhibition. 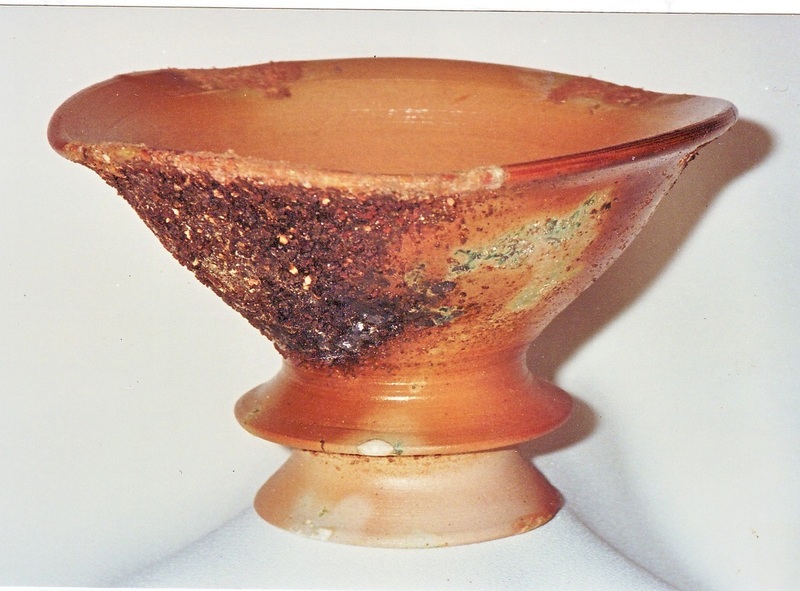 In 1997 I revisited primitive firings with the exploration of salt firing in a saggar within a gas kiln. 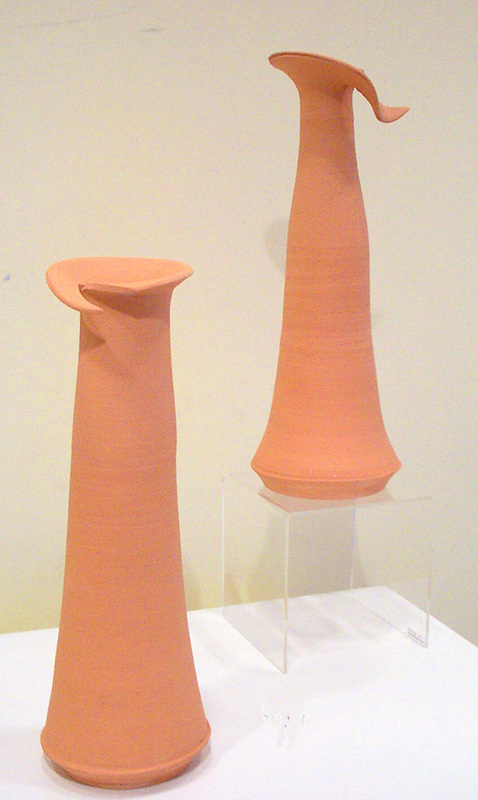 This work featured in a group exhibition at the GOLD COAST CITY ART GALLERY. As part of the sister-city celebrations, in July, 1997 I was invited by Gold Coast City Council Cultural Liaison Dept. 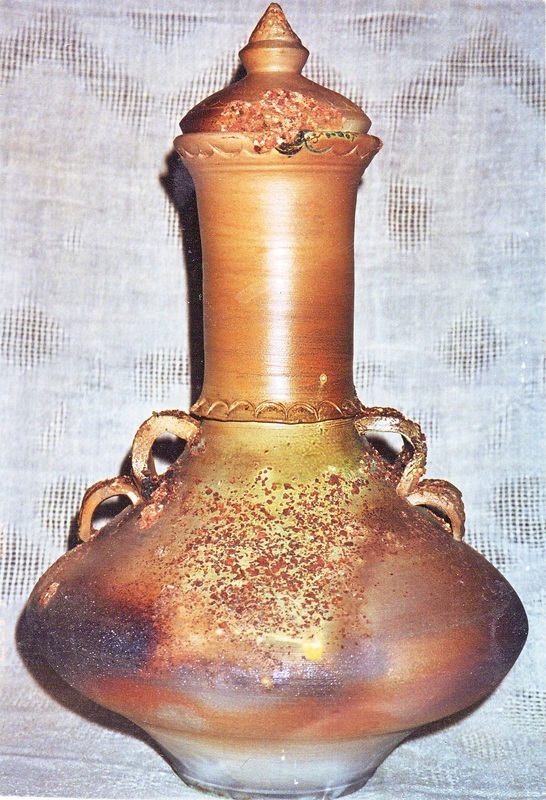 to submit my copper red ware for exhibition to NOUMEA & in May 1998 participated in a similar sister-city exhibition to southern CHINA. 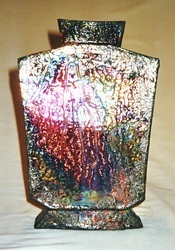 In 1999 my work featured in a Gold Coast Potters’ Association group exhibition, KALEIDOSCOPE, at Q.P.A. FUSIONS GALLERY, Brisbane, and I was subsequently invited to exhibit at the annual Nudgee College exhibition. 1999 I participated in a Group Workshop at Tokoname, Japan, sharing skills and ideas and later visited ancient kiln sites and workshops at, Tobe, Shigaraki, Seto and Okayama, the home of Bizen ware. 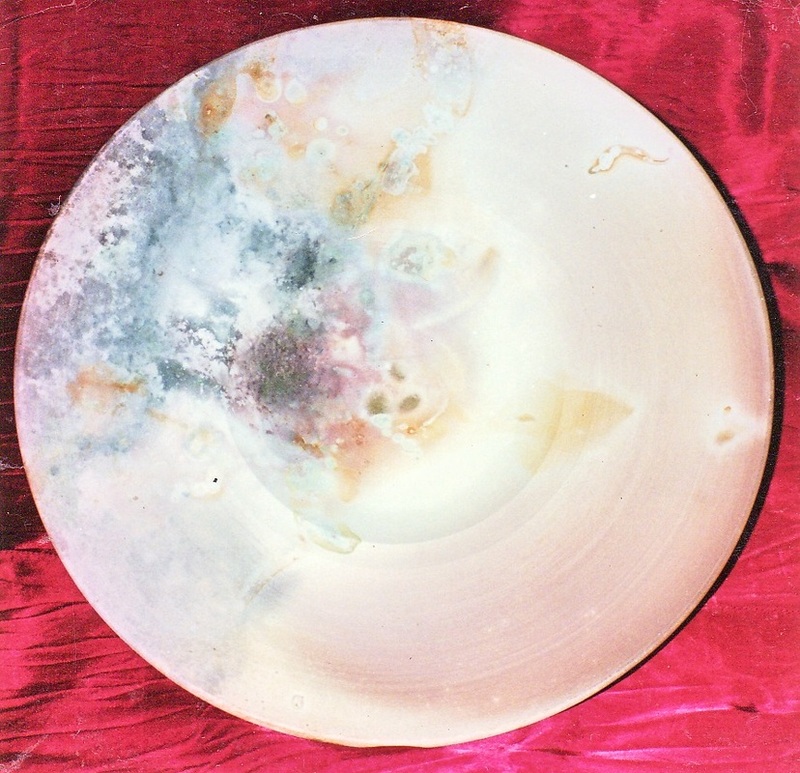 Through my contacts with Mrs Kazuko Drake and her Pacific Cross Cultural group, Netword International, I have continued personal associations with many Japanese ceramists and arranged workshops with them at the Gold Coast Potters’ Association. 2000 Group exhibition ROBINA CULTURAL CENTRE. 2002-5 As Secretary of the Gold Coast International Ceramic Art Award I have been able to continue my interest and involvement in ceramics in an administrative capacity. 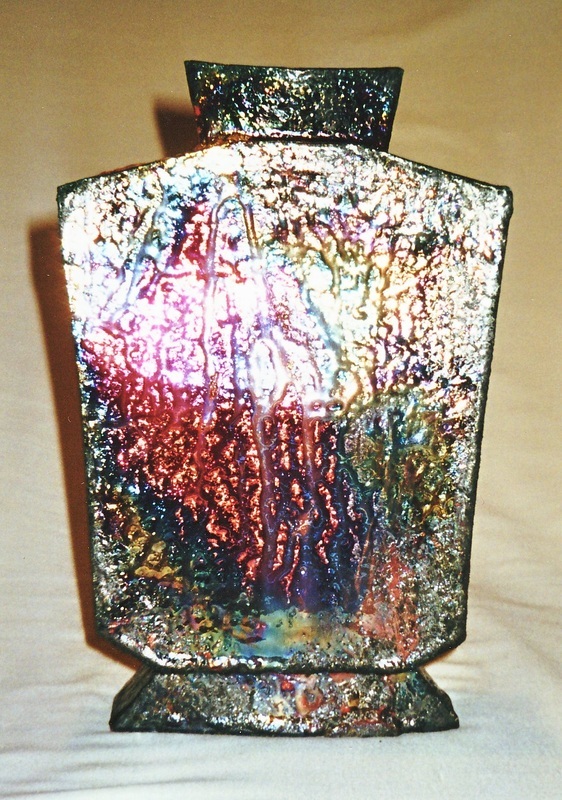 2008 - At the Gold Coast Potters’ Association’s 2008 Members’ Exhibition, my copper red multi-glazed jug ,“My Cup runneth Over” was awarded the Heather Wilton Memorial Acquisition Award. 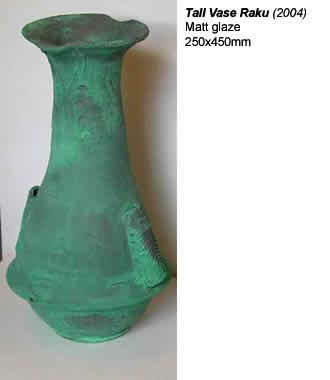 This meant that this work was acquired for the permanent collection of the Association. 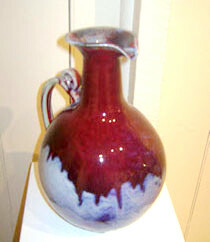 2009 – I continue to enjoy exploring the colours of multi-glazed, high-fired wheel-thrown work. 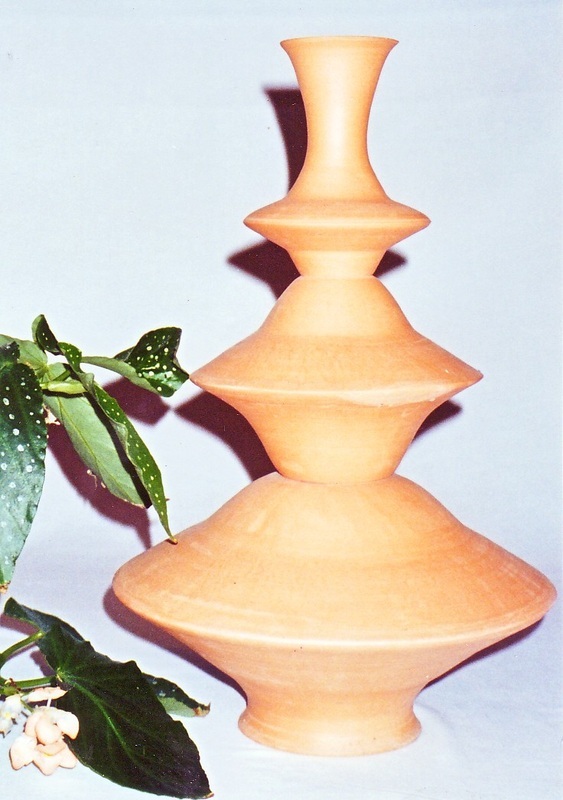 2009 -Following a trip to the Kimberley area of Western Australia and as a departure from the discipline of the wheel, I have experimented with handbuilding free style boulder forms in terra cotta. These feature incising of aboriginal-style patterns and landscape drawings.